We are excited to continue the Nut Sales Operation at Jossy Farms! 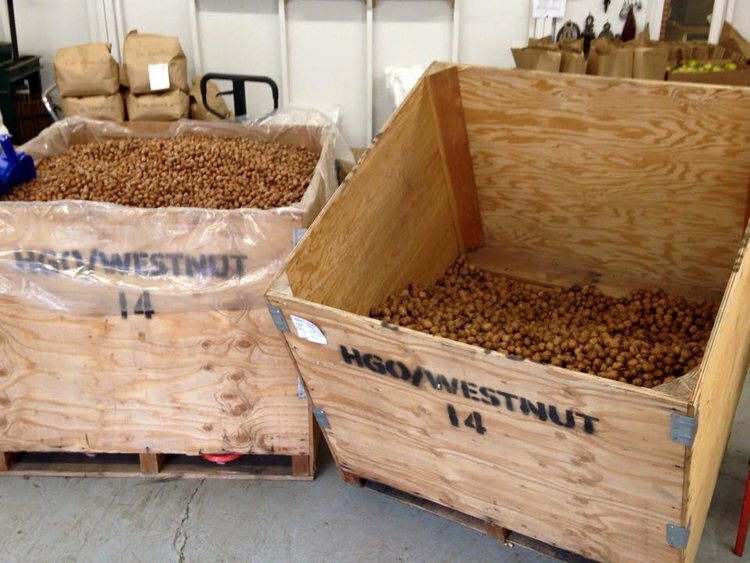 We will be open for Hazelnut and Walnut sales in November. Open dates are Fridays and Saturdays from 9am-5pm. We are also open on Sunday for pre-order pickups. Price is $3/lbs for under 100 lbs and $2.75/lbs 100 or more. It’s a new name, same place! We look forward to seeing you all soon for nut sales! Make sure you don’t miss any updates, sign up for our newsletter. Nuts are washed and dried. The price is $3.00/lb for both hazelnuts and walnuts. Free cracking is available. You will take home both the shells and nut kernels. The yield is approximately 40/60; meaning that if you want 50 lbs. of nut kernels you'll want to purchase 125 lbs total. Shells make great fire starter, pathways in your garden, and can keep slugs away from your plants. The nuts will be sold at the same location as in the past (across the street from where you pick fruit in the summer). Our address: 32190 NW Beach Rd., Hillsboro, OR 97124. If you are purchasing more than 75 lbs., please place an order ahead of time through our online store.